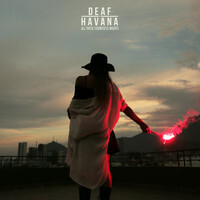 Four years and a whole heap of financial trouble on from their breakout album, Old Souls, Deaf Havana are back with their fourth LP, All These Countless Nights. Here, frontman James Veck-Gilodi explains just how close the band came to calling it a day, and shares the story behind their most adventurous album to date. You scored a top 10 album with Old Souls, played huge gigs, and it felt like there was real momentum building. Why did you then decide to take a four-year break? Yes, it did feel like there was momentum but we didn’t really know what was happening behind the scenes, if you get what I mean? On the surface everything looked good: it looked like we were making money, like we were getting somewhere, a nice steady progressive rise. Actually, behind everything, we were really badly in debt. [There was] loads of stuff that we didn’t know about and it just floored us. It wasn’t intentional; we didn’t decide, “Oh, let’s have a nice break, I think we’ve done enough.” We just got rid of a few members of our team and then realised that they’ve been hiding stuff from us. It was just really, really terrible communication between our old manager and us and our old accountant, and it ended up with the loss of a lot of money. We basically had to start again. That must have been incredibly tough. How did you go about resolving the situation? Well, at the start we didn’t know what to do and we freaked out. Then we just played a few big gigs and basically stopped paying ourselves for a while, just so we could put [money] back into the band account and get it back to zero. As soon as we did, my plan was to quit, because I was really disheartened by it all. But then, I think we played Reading and Leeds in 2014 and it just made me realise that I do actually enjoy being a band. In the time off I wrote some songs as well and, I decided that it’s better to not let them go to waste. I think just being away from it made me miss it, you know? We didn’t fall out, but it just got weird between everyone so we all went in separate directions. I didn’t really talk to anyone for a while. I started playing solo stuff. I don’t know, none of it was intentional, it just happened that way. We’re in a much better mind-set and I think we’ve got the best record we’ve ever done. 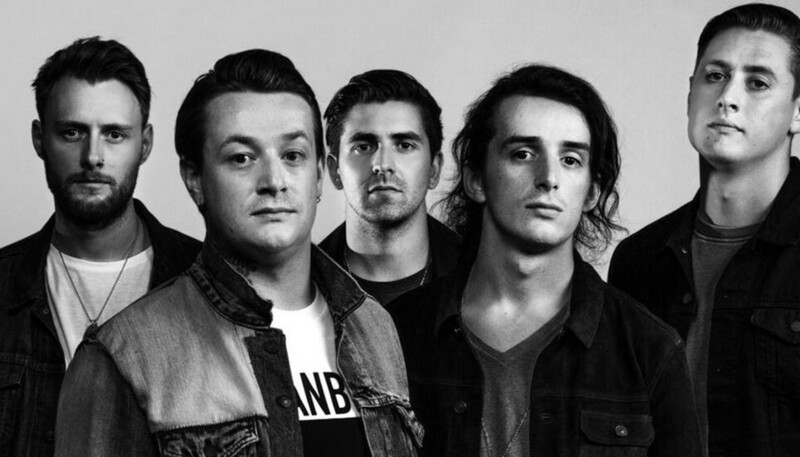 So who initiated Deaf Havana reforming? Well, I think we all decided together. I did a solo tour, I think in 2015? I’d written a song called ‘Cassiopeia’ and demoed it, but it was like a full band song. I just sent it across to everybody, and I was like, “I wrote this. If you want to do anything with it, I’m up for it.” Everyone just loved it and that was the initial spark that got us all talking again. Then we started playing together again and it just fell into place from there. Is that how the creative process works in Deaf Havana: you write the songs and then everyone else fleshes them out? Yes, pretty much. Other bands get together and work songs out but that never really worked for us because we all live quite far away from each other. So I’ve just got a crappy recording programme on my iPad and I just record a demo and send it to everyone. I do the bulk and the body of the song, then they just add to it. Coming off the back of a successful record, what was the goal for All These Countless Nights? I don’t think there were actually any intentions. Like I said, because I wasn’t even sure if we were going to write another record, this one was actually less focused in one direction. With OId Souls I was focused on that Americana/Bruce Springsteen-ish kind of sound, you know? But with this one, because I wrote all the songs at such different times, I just think I wasn’t scared to put anything on the record. It’s way more diverse because it’s got stuff that I wouldn’t normally put on a record on it, just because it was way more natural as opposed to me tailoring it in a certain direction. Which songs do you anticipate surprising long-time fans? There’s a song called ‘L.O.V.E’ which is heavier and it’s got electronics in it. It would never fit on any of our other records. Then there’s a song called ‘Pretty Low’ and I don’t even know what genre it is. It’s bizarre. But I’m really proud of [the album]. I know everyone says that when they release a new album, but because of everything that happened before – and the fact that we didn’t even know if we were going to keep doing this – I’m really, really proud of it and I just want to give it everything. Can you tell us about the significance of the album title? It took me ages to think of an album title. There’s a song called ‘Happiness’ – which is probably my favourite track on there – and there’s a line in the second verse which says, “All these countless nights,” in it. I just kept toying with that idea over and over again and eventually it just stuck because every song is about something that happened on a night that you can’t really remember. There’s a striking line in ‘Happiness’ which scans, “It’s a degenerate disease / It eats away at everything.” Can you tell us about your lyrical inspirations? Yes, that song’s about the opposite of happiness. It’s really just about how I seem to find a way to ruin everything. My brain is, like, split in two halves; it’s like there’s part of me that settles down and allows me to have a normal life, and then there’s this other part which just comes in and takes over and kind of makes me act a certain way… I don’t know, I can’t seem to let anything good happen for very long. What have you learned about yourself in the making of this record? I’ve learned that I definitely am not ready to stop doing this yet. Because I really thought I was. I was like, “Right, that’s it. Music’s over. I can’t be bothered anymore, it’s too hard.” But we just got back from a couple of tours and they were just so much fun, and we played better than we have in years. So I’ve learnt that this band is supposed to be something, and we shouldn’t give it up yet; that there’s more in us. I mean, what would you have done instead had you quit Deaf Havana? I probably would still be doing music because I’m useless at everything else. I’ve got loads of solo songs and I had that ready to go, but God knows how successful it would have been. One of them – the song ‘Seattle’ – is actually on this record. Looking back on how you were when you started out in 2008, how have your motivations for doing this changed? My motivations? I think when I first started I just wanted to do it for fun – I thought it was a laugh playing music with my friends. Then I got addicted to the bizarre lifestyle where you’re away all the time and you can drink loads, and then I went through this weird period of not wanting to be in a band and hating everything. I think I’ve gone full circle because now I’m just happy to be playing music with my friends again; as lame as it sounds, I literally just want to do it for fun again. The touring life must be so disorientating. It’s really hard. It’s weird. If you fight that kind of lifestyle, you hate it; the tours where I’m not in that sort of zone, I despise it, I just want to go home. I don’t think everyone’s cut out for it. I’m not, really. But presumably that’s the plan for the rest of 2017 – touring and festivals? I don’t think we’ve got any festivals confirmed yet, but yes. I think we’ll just tour loads. Just basically do what we should, and what we’ve kind-of not done properly on every album campaign previously. This time we’ve a completely new team around us, we’re in a much better mind-set and I think we’ve got the best record we’ve ever done. I just want to be a band again. I want to be doing the things that we should have been doing the last three years. If we can do that, then I’ll be happy. Finally, if you had to offer one piece of advice to young bands starting out now, what would it be? Either don’t start a band, because it’s incredibly hard to make money, or… do it for the right reasons. Don’t get lost in the things you shouldn’t. Be honest, and don’t do it for any other reasons apart from that you want to play music.